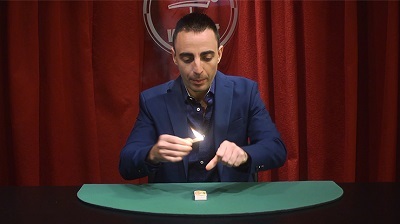 The thumb tip is the most powerful gimmick you can carry in your pocket. 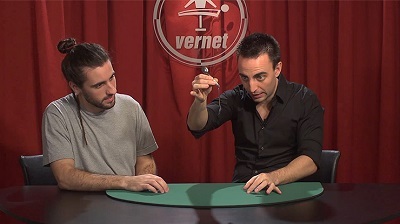 In 1970 Vernet revolutionized the world of magic with the release of his famous thumb tip. 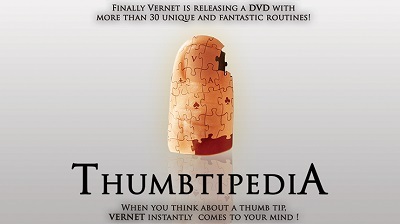 For more than forty years Vernet has been using cutting edge technology to make the most realistic thumb tip ever seen! 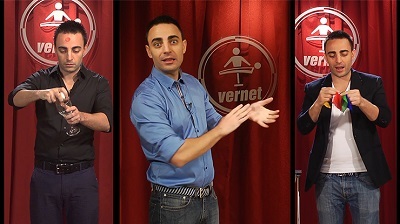 Finally Vernet is releasing a DVD with more than thirty unique and fantastic routines! With this DVD you'll be able to release all the potential this extraordinary gimmick has. These routines are truly professional, extremely practical and with really clever methods! You'll find a wide range of routines ideal for close-up, parlor, stage and bar magic. You'll be amazed with all the different applications that this weapon can have for every possible situation!